When you were first diagnosed with Dysautonomia/POTS you probably thought that you would never be able to have a night life again. Is that really true though? 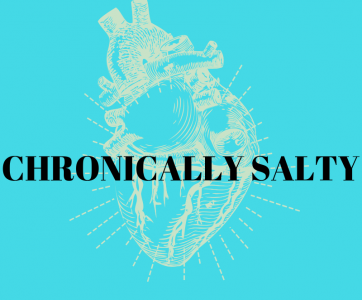 As you recover and get to know your limits with a chronic illness, you may find that more is possible than you think, you just need to know how to prep for it. Listening to music live has always been one of my favorite things to do. I remember seeing my first concert in middle school with Paramore opening for No Doubt. And since then, I’ve loved going to a few shows every year for some of my favorite bands. But after being diagnosed with POTS, that part of my life seemed to come to a screeching halt… for the moment. Concerts create an environment that will flare my POTS like no other. They are hot, loud, crowded, late at night, and most importantly, often don’t have seating. Surprisingly, despite this, I have been to three concerts in the past two years with POTS. At each one, I tried out new things to help with my symptoms and they just keep getting better and better. Recently, I went to see Lord Huron at a standing-only venue and had one of the best nights in a long time. How was that possible? Simple: I knew how to prep…and I was lucky I was already having a good POTS day. The most important tip I can give for anyone ready to go on an adventure with POTS is to know your body and to know where you are going. The venue had ADA seating, which allowed me a free seat on a raised platform with one of my friends throughout the concert. We got early door access and were able to watch the concert with an awesome view out of the crowd. Heat and loud noises are the biggest issues for me, so I make sure that I have everything I need to stay cool (cooling packs) and hydrated (water and electrolytes). I also wear ear plugs throughout to reduce adrenaline surges caused by the loud noise. I just saw your unboxing video!! Its AWESOME! Thank you! How is the vest working for you? This was SO helpful. I’m in NC and have severe heat intolerance too. I’ve just ordered the vest and cooling packs that you suggested 🙂 What temperature do you notice that you start experiencing heat-related symptoms? This was so helpful – thank you! I’m in NC and have hyperPOTS and severe heat intolerance too! Just ordered the cooling packs and vest. At what temperature do you notice that you start experiencing heat-related symptoms? Hi Jessica! If I’m excited or nervous or moving at all, it goes down to about 68-70 degrees where I need some AC, fan or cooling packs because I’m getting overheated. So, if I’m in a clinic for example, and it’s about 72 degrees there and I’m walking nervous to it from the car, I get overheated. I cannot workout over 70 degrees. But then again, if I’m sitting outside with my friends sipping some iced tea in the shade at 72, probably going to be fine. You may have noticed in the video that I mentioned my house was 75ish degrees. I try and keep it to 73-75ish right now to attempt to acclimate my body some (hahaha nice try Heidi), but I do have to turn it down if I am moving a lot, working out, cooking, hanging with friends, etc. When it gets to that 100% humidity that’s typical for NC summers, I turn it down some more too. Isn’t POTS so confusing?